With so many gateways and payment solutions out there which is best for you? We look at different solutions and mention the pros and cons of each. This article is not designed to recomend any solution but to help in any decision. In an article in the Australian Financial Review there is discussion about banks and payment-card groups benefiting by "clipping the ticket multiple times" as the payment goes from you to a merchant via a number of electonic gateways. Hence the better we understand how this system works we increase the chances of reducing these costs. Unfortunately the EFTPOS system that underpins our electonic payments from bricks and mortar businesses still cannot be used on the Internet. We either build a custom cart for your site or integrate an offsite system that can process PayPal and Credit Cards where you manage yourself. What type of system you choose really depends on your budget and your familiararity of the Internet. The big Australian banks are working on a new EFTPOS style system that would work on the Internet. It is called MAMBO and is designed for the banks to not lose as much revenue to Visa and Mastercard systems. This may be something to consider if you are planning an eCommerce site soon. PayPal is always a good start due to it's features and security. eWay have some great new products that can have you up and running quickly without the need for a seperate merchant account. However Stripe is currently my go to payment gateway mainly due to the features and ease of integration with my systems. I agree with the developer first philosphy. It can be beneficial to speak to your bookkeeper before choosing your online solution as you may find they already have a Stripe compatible system for you. With security being an issue the solution that suits you depends on what you are selling. A charge back on data downloaded is a completely different story to sending a Teak kitchen table halfway around the world only to have a charge back. A charge back occurs where a customer disputes a transaction and the merchant must refund the value of the goods / services. This is a problem as proving that an item has been ordered and received is up to the Vendor. So its not just fraudulent use of a credit card that is the issue, its the denying of ordering and recieving goods that can be a problem. This is an issue of a standard contract which involves offer, acceptance and consderation. This works fine in a bricks and mortar store but certainly was not designed for the web. You may also need to consider ensuring your web site terms and conditions protect you against implied warranty by adding a disclaimer. Pay Pal has a variety of low cost Australian solutions. PayPal may be convenient for individuals (who cannot get a credit card merchant account) and businesses deterred by the level of credit card fees charged by some institutions. It can be as simple as a Buy Now button. This is good for one product and cannot handle aggregate sales of multiple products. PayPal Buy Now Buttons can be programmed and customised to in many examples eliminate the need for a shopping cart and the extra complexity a shopping cart requires. One drawback with PayPal is buyers seem to need to login or as a minimum are faced with a fairly complex page when purchasing by credit card. When you have multiple products or need to aggregate sales from a basket you need a shopping cart. It seems everyone has a shopping cart to sell. They simply allow you to add items continue to shop, remove items or process a payment. You can use a free shopping cart that Pay Pal provide or you can integrate your own or your web developers shopping cart. Web buyers may be put off by going from your web site to PayPal's site - however you can customise the page that PayPal displays, but it is still going to another site. Any situation where a prospective buyer leaves your site is best avoided. If it is a recognised institution (e.g. a bank) or PayPal. PayPal may not support the currency you wish to trade in. It supports Australian Dollars, Canadian Collars, Euro, Pounds Sterling, Japanese Yen and U.S. Dollar. 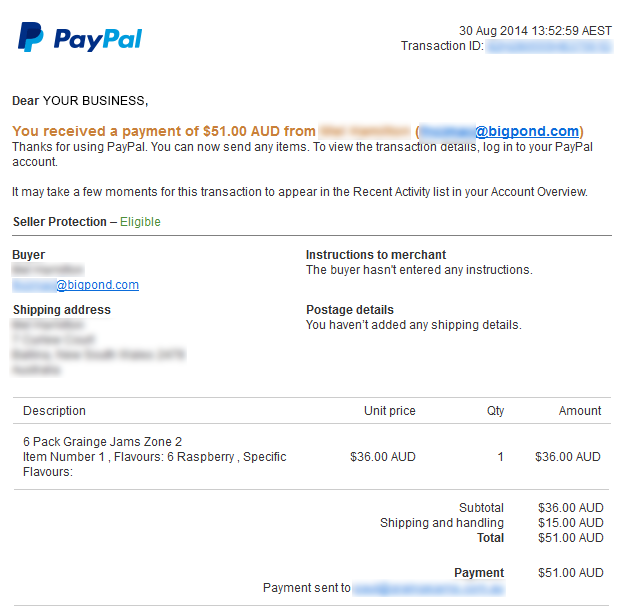 With PayPal, you pay as you go with rates as low as 1.1% - 2.6% + $0.30 AUD per transaction. *Website Payments Pro - Hosted Solution and Virtual Terminal also have a $25 monthly fee. **Donation fees apply to approved charities only. Please call PayPal on 1800 073 263 to discuss your eligibility and apply. If you receive payments in currencies other than Australian dollars, PayPal convert them at 2.5% above the base rate when you withdraw your money to your linked bank account. You can refund the entire amount of a transaction or portions of it. When you issue a refund, the gross amount of the refund is sent to the buyer. The gross amount equals the net amount of the original transaction plus the refunded fee from PayPal. If you issue a refund within 60 days, PayPal credits the original transaction fee for receiving the payment to your account. For partial refunds, PayPal credits a percentage of the original transaction fee based on the refunded amount. When you issue a refund after 60 days, your original transaction fee for receiving the payment is not credited to your account. PayPal Website Payments Pro may be a good option for cutting out the fees. Their prices look very attractive and seem to be lower if you use Paypal express checkout. I have personally not used this system however being PayPal I am very keen to try this. You can use off the shelf shopping carts or a custom shopping cart. Stripe requires an SSL certificate to ensure security. 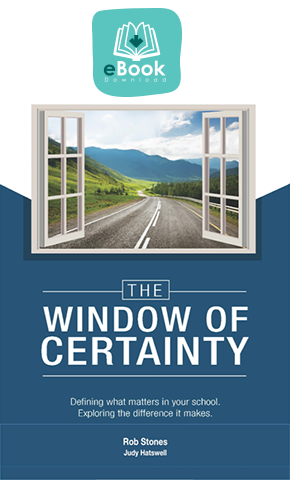 Check the eBook for sale - notice the https indicating a secure transaction. Stripe has some nice features that remove the need for a complex shopping cart for most transactions. A skilled programmer can pass information into the payment processing section - avoid any duplicate entry of information but ensure a quick seemless process. Low transactions costs - no monthly charges. You can immediately process clients via manual transactions. The charges seem good and inline with PayPal - no monthly charges. You can use their pay now buttons which process payments directly on your site without having to setup complex SSL certificates. When working on complex setups they have help via chat instantly available. eWay offer help in setting up to begin with. These are great features backed with knowledgable help - they are never easy to set-up unless using the PayNow buttons which is cut and paste for transactions accepted on your site. You could take manual transactions from your phone - even a mobile phone without monthly fees. Some online sellers do not actually process the transaction live or may only get it authorised by a company like Authorize.Net The payment is actually manually entered. This requires (not always happening) secure encryption of the users credit card details when storing in a database. According to the website the Affiliate Reseller Program is available to companies with a US Tax ID or EIN and a US based bank account. This probably also applies to creating an account - we are contacting Authorize.net to verify this. If you have read up to here you will realise why e-commerce is such a difficult area. Your customers will need to feel comfortable tranacting over the web. A custom quality website is a must. Being found in search engines under your keywords is also very important. Combine a quality product, search engine strategy and a quality design that helps to engage your viewers will lead to sales. The feeling you get when all these come together is well worth the effort. If you are going to be serious about transactions over the net you are going to need a merchant account with a bank e.g. St George or NAB and many other Australian banks. This allows the buyer to stay on your website to complete the transaction and to receive confirmation of payment. You apply for a merchant account and then need to organise a Gateway or organise the Gateway and then the merchant account. 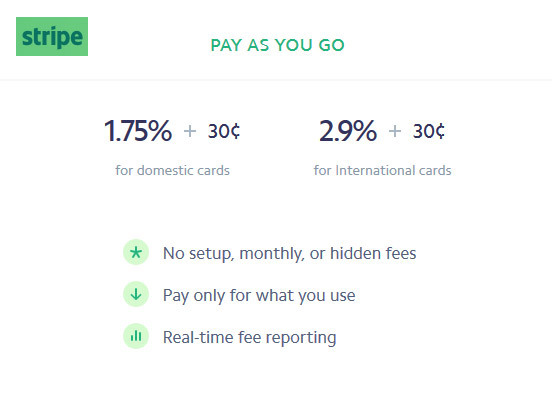 Gateway providers charge on a per transaction basis. This is generally forced upon them and should be considered a given cost. Some charge fees for duplicate transactions and reversals but again they are charged for these themselves. The bank needs to determine what type of risk you are. If you are what they term a new business you may need to furnish a business plan and cash flow projection. Hence it is important to do your homework. Depending on your business if you have few transactions at higher amounts or many transactions you will need to know industry averages and all information that will help you bargain. New businesses are obviously regarded as risky so previous success in business may help. For example you may wish to use eWAY or Netregistry as your payment gateway. Using either of these gateways allows you to process payments securely on your website without leaving it. The programmer (web develper) will add some code and ensure SSL (Secure Socket Layer) is used to encrypt the transaction and will use example code provided by either company. What is a Payment Gateway API? Your websites programming language may be PHP, .NET or Java. This code needs to communicate with the Payment Gateway which in turn processes the transaction. Your web developer uses this code to attach your shopping cart or link information to the payment gateway for processing. Most payment gateways offer a variety of languages and options for your web developer to use. Online fraud is booming in Australia. One estimate is $71 million for the year ending December 31, 2008 with nearly half the total fraud on local cards. Apply for an Internet Merchant account - Netregistry uses St George and NAB, eWay uses St George, Bank SA, ANZ and CBA. Now you have to negotiate yourself a good deal with the bank - this is by far the most difficult part of the whole excercise. Try to compare banks and be prepared for some differences. Some banks are far more welcoming for some industries than others. Westpac have a good system with Payway. Select your Payment Gateway - Choose who you want to use e.g Netregistry or eWay. For example Netregistry has a set fee per month and no transaction fee however eWay may be cheaper if you have low transaction volumes but has a $ .50 transaction fee per transaction. Find out the banks that your preferred Payment Gateway use. Set up the website - this is where you use your web developer (hopefully me) to set up the site to securely carry out transactions. Of course all of this is quite useless if no one can find your site. Make sure your web developer understands how to actively improve your site in search engines like Google. It is easy to test this, look at their existing portfolio of sites - enter competitive keyword terms into Google and see if the site comes up on the first page. Site design is also important as good design will lead your customers into a process that keeps them away from distractions and helps to gain a sale. A professional look is also important - your customers need to feel confident the transaction is safe. Sometimes I can secure a discount for my customers with certain Gateways especially in the first year when you a paying for the new website. Any cost saving is appreciated by my clients espicially if it is a new site. Commweb has been chosen here but other banks may have similar products. Commbank have replied to my enquiries and have patiently explained thier products. Firstly there are some hefty fines and possible loss of use for people using normal merchant facilities to process credit cards via the Internet. The credit card companies themselves may fine up to $ 50,000 in some cases. So is someone suggests using non secure Internet solutions or even email you may be putting your business at serious risk. The bank may want or may approve your application if you have a security deposit. This can be a good situation once you are processing over 150 transactions per month ( based on averages ). You can get an indication of the fees from 1800 730 554 (Direct Sales for Merchants). These will vary depending on the risk profile of your business. If your business does not have a huge profile using recognised institutions like Commbank, Visa and Mastercard can be an advantage rather than the total transaction on your website. The hosting company the web developer uses will need to have the Commbank components available or be able to set them up. Commbank also have a VirtualPOS BatAuth product. VirtualPOS BatAuth is a low cost batch solution that lodges credit card transactions electronically for authorisation and value creation. This solution may be useful to busniess's that do less than 150 transactions per month. If you are looking for a solution for your company where large transaction volumes are required you may need either a customised solution or a company specialising in this. www.paycorp.com.au have been around for a long time and do provide in-house development. They provide online payment processing to some of the largest website brands in the country such as Woolworths, Grays Online and Roses Only. The entry points for most clients we deal with is 2,000-5,000 transactions per month. Most clients are processing in the realm of 20,000 payments ? 1 million payments per month including Credit Card, Direct Entry, BPAY and Australia Post payments.